Just had a peaceful weeks holiday here, pitches are on quite a slope, (blocks are available),all pitches are under trees or needing a long electric lead to reach other side of the field,but then others will be driving across this to get in & out of field. All in all a nice site but not one we will return to. Owner on hand when we arrived and they advised re pitching - extra cables available to extend reach from electric hook up units if required. 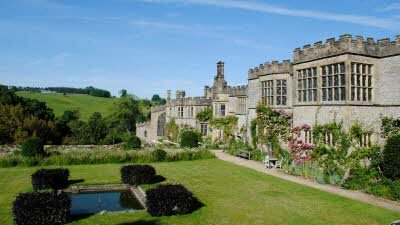 Lovely site and great location for walkers and cyclists (MTB or Road). Levelling blocks advisable for most spots on the site. Can see what has been said about possibility of difficulty in wet weather but we had no trouble in spite of that (Honda CRV towcar). I've little doubt the owner will help with his Land Rover or tractor. We stayed for four nights at the beginning of July. 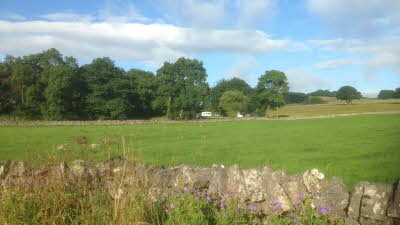 The pitches near the EHU's were under overhanging trees and quite wet and boggy as there had been a period of rain. The site dried fairly quickly. We tow with a 4 x 4 and think a car would have struggled on this site during wet weather. Definitely need a quantity of leveling blocks. 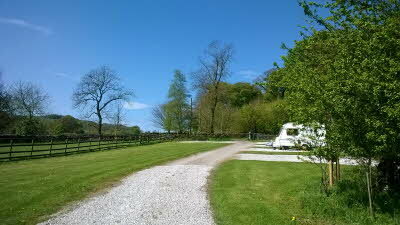 Peaceful site, close to Derbyshire beauty spots. The nearest pub is a good mile walk along the road, which served good food (but no chips on a Saturday!!) Probably wouldn't use this site again. Just looking to re book after staying here last year. Lovely little site, very peaceful and in beautiful surroundings. Yes, its partly sloping but no problem. May be a little difficult if very wet, but we certainly had no trouble with our Citroen van and Hymer caravan! The owners were extremely friendly and helpful. Plenty of places to eat within walking distance, the chips at the Barrel Inn are wonderful! Recommended! 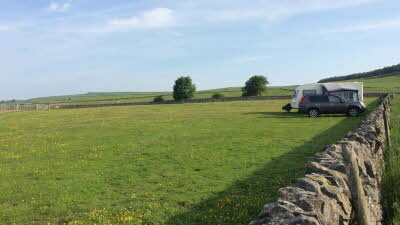 This was our first booking with the caravan club and we were extremely pleased with this site it offered all we wanted - peace and quiet, local areas of interest, lovely walks and a pub within walking distance - Eyam one mile and Foolow half a mile (no footpath to Foolow but the road was fairly quiet). 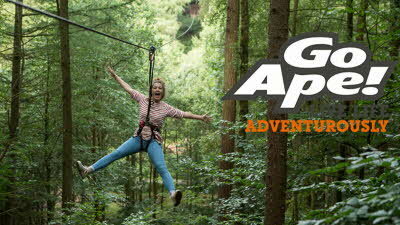 We were welcomed when we arrived and told to choose a pitch with the offer of extra cables if we needed them. Field was slightly sloping but we did not find this a problem at all. We would definitely book again.